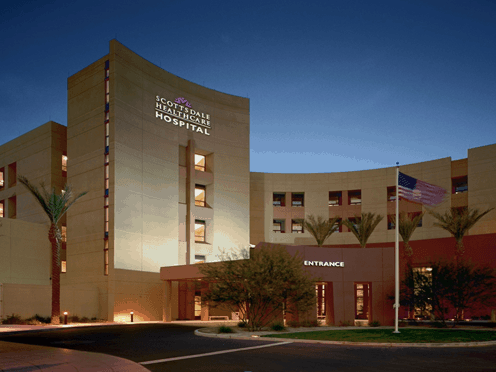 HonorHealth Scottsdale Shea Medical Center is a spacious, modern facility located a few miles away from our practice. With 443 patient beds, Scottsdale Shea leads in patient care in women’s services, bariatric surgery, total joint replacement, and cardiology and oncology services. In addition, they offer an onsite pediatric emergency department, pediatric ICU, and a Level III neonatal ICU all fully equipped to service patient needs effectively, along with their dedicated staff. Dr. G. Robert Meger is honored to be able to perform surgeries in this prestigious medical facility.